Many times when people have problems with their lawn they have no idea of what is going on. The two variables are the wrong seed was planted or the lawn maintenance. We are going to explore one of these reasons to why someone’s lawn may not meet their expectations in an attempt to show which grass seed to use. Because we are all in different areas we are all in different climates. 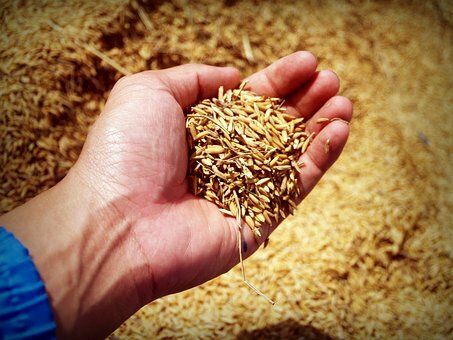 This is the basis in which determines the type of grass seed is best. It also determines when you should plant your seed. 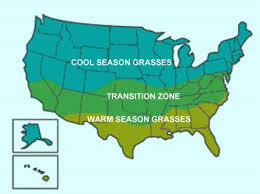 Cool season grasses are needed if you are in the cool region. They also are good in the transitional areas in the middle of the cool and warm regions. Kentucky Bluegrass is the premier grass for the cool season grasses. Bluegrass loves the sun and is an excellent grower. It can also be mixed Perennial Ryegrass or Tall Fescue grass to add toughness to the lawn. You can also mix it with Fine Fescue which takes lower maintenance than other cool-season grasses. If you have shaded areas you can also use Creeping Red Fescue which can handle the shaded area conditions. Avoid Creeping Bentgrass because it isn’t really for the home lawn. It is more for things like a golf course and needs to be cut short and every day. Another one to avoid is Annual Ryegrass because its name speaks for itself. You will have to plant this type every year and I don’t think you would want that headache. How you choose to mix these seeds are up to you. But just make sure you are using these types if you are in the cool or transitional regions. The warm season grasses can pretty much stand on their own in a lawn but some people do put a mixture with them. Sometimes a Fescue. St. Augustine grass is one of the warm season grasses that can handle the hot & humid weather. Places like Florida, Louisiana & Alabama are examples where St. Augustine is good. Bermuda Grass also is designed for the warm season areas. But keep in mind that this grass does not like shaded areas if you are going to use it. Zosia grass is another used for the warm regions. 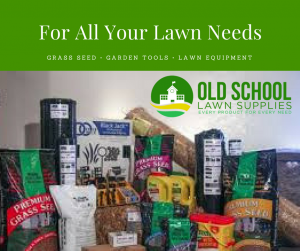 So if you want a lawn to look its best for you, the thing is to make sure you are using the proper seed for your region and do the proper lawn maintenance like proper watering and cutting. Here is a video to give you a little bit more detail on the subject. Thanks for stopping in and as always I hope this post was helpful to someone out there today. Leave any questions or comments in the comment section. I am not into gardening but I have always wanted to plant grass seeds, as I had no prior idea about this, you post has definitely taught me something. But I am still a little confused, the temperature in my area is moderate maybe still warm area grass seeds will be needed I guess. Can you help me with this, lowest temperature here in the year would be around 10-11 C and highest would be like 33 C.
Yes, you would want to use a warm season grass. And since you don’t have much knowledge I am going to refer you to a page that also tells you the best time to plant grass seeds. Now, also what type of seed also depends on where you are. So you can consult with your local garden centers and they can assist you with what the region seed is where you are. I hope this helped you. I don’t have a garden right now but this post looks like a useful one for those who has one. I live in Singapore and the weather here is mostly warm and humid with occasional rainy seasons. Which grass seed would you recommend? Hi, Yvonne. I am really not sure about the grasses in Singapore but if you are in a warm and humid area it sounds like you will utilize warm season grass seed. I would suggest you check with your local Garden center to find out what strain of grasses grows well in your area. Sorry, I could not give you a definite answer but I am in the United states where I am more familiar. This is a terrific website and for a non-gardener like me it was very easy to read. You obviously know what you are talking about. Thanks, Roy. I hoped that it would be easy to understand so that way a person could figure out why their lawn is doing this or that. And maybe DIY their lawns. You are welcome to visit anytime. It’s great that you elaborated on the climate as the basis of the type of grass seed and when it should be planted. I never knew that it is the reason why my garden is not growing the grasses as I expected them to be. 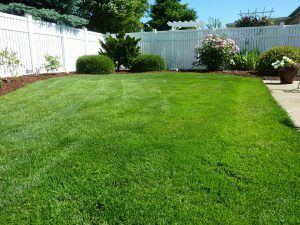 I may not yet have a green thumb but I believe that based on what you have explained here, I can achieve and maintain a beautiful and greener lawn. Excellent. I am glad to provide information to help people further understand what is needed to have a beautiful lawn. Many people just give up when it does not pan out for them. Often it is some knowledge they may lack to help them be successful and I hope my post can be the help someone needs. Thank you for visiting in and I wish you much success.